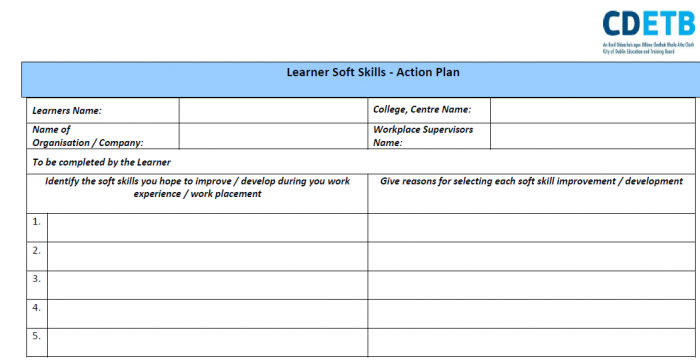 This resource is a template to allow students identify the soft skills they aspire to develop or improve while on work placement, which they can then share with their workplace supervisor. It is to be completed by students while planning for their work placement. The aim of this document is to provide students with the opportunity to document specific action plans for the development of their soft skills while on their work placement as well as allows students consider and document specific learning objectives in relation to developing their soft skills while on work placement.